Casual Dining in Auckland comes in several forms. Whether it's chilling out by the harbour with a gourmet burger, or grabbing a bite between shopping stints, there are hundreds of places in which to relax a few hours. Auckland Casual Dining is becoming even more popular. With tourist extensions to places like the Wynyard Quarter and the Atrium, the number of laid back dining rooms is increasing. Bars which serve food are just as popular as more dedicated eating houses. 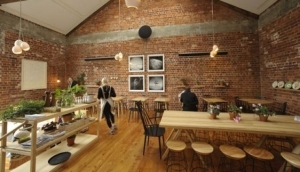 Mt Eden is great for gastro pubs and makes a great Sunday brunch destination. Parnell and Viaduct Harbour is where the pretty people can be seen catching up after work with wine by the bottle and sharing plates of tapas. Many of the bigger hotels have reasonably priced casual dining cafes and restaurants. To get a great view while you dine, head to Mission Bay or over to Devonport, both of which have some fantastic, friendly restaurants you could easily spend hours in.